SEVASTOPOL, March 16. /ITAR-TASS/. Crimean premier Sergei Aksyonov said on Sunday about 40% of Crimean Tatars had taken part in the referendum on Crimea’s accession to Russia as a constituent entity. More than a half of the 5,000-strong community of Crimean Tatars in the main naval port city of Sevastopol took part in Sunday's referendum on determining the future status of Crimea, Lenur Usmanov, a spokesman for the community told Itar-Tass. 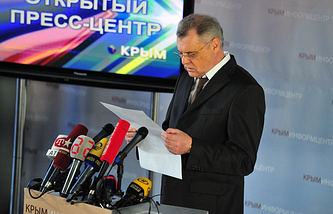 "The data we have indicates that more than 50% of Crimean Tatars living in Sevastopol came to the polling stations Sunday," he said. "We also have the information that most of them voted in favor of reunification with Russia." Usmanov said the turnout of Tatars at the polls would have been bigger had it not been for the position taken by the Mejlis (Council of Representatives) of the Crimean Tatar people. "We have the information that Mejlis representatives would stop people at the doors of the polling stations and would try to discourage them from voting but the Crimean Tatar community of Sevastopol finds actions of this kind to be unfruitful," he said. 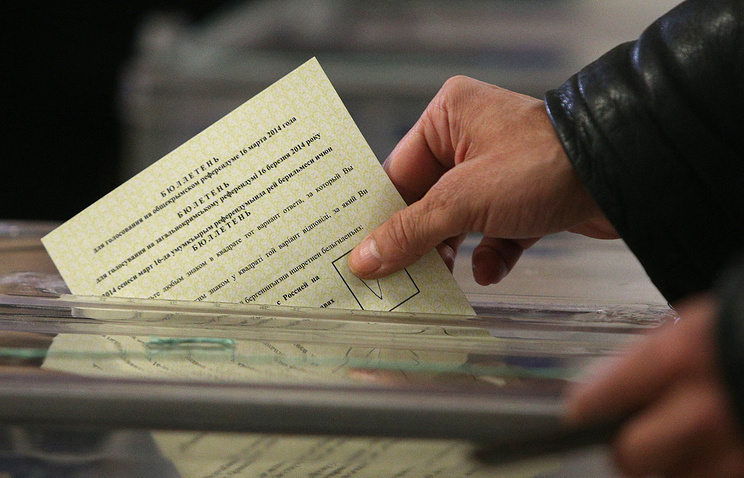 By the closure of the polling stations in Sevastopol at 20:00 hours local time, the voters turnout at the polls was around 90%. Preliminary results of the voting in the city will be announced at around 22:30 East European Standard Time (20:30 GMT).